The big day is almost here. The invitations are sent, the presents made pretty…there’s some fun to prepare! Peek inside the homes of these adorable animals as they celebrate charming birthday traditions — from party hats and piñatas to blowing out the candles… and making a wish. Hip hip hooray! 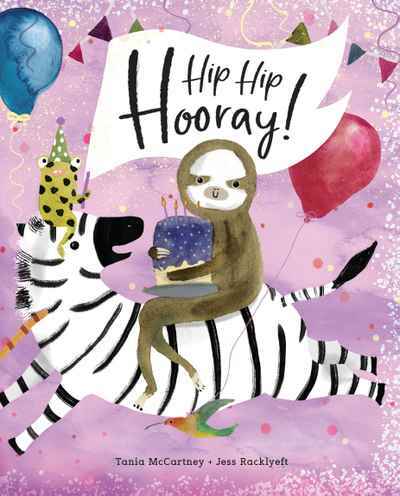 This picture book, by an award-winning duo, features echidnas in Australia, goats in Canada, sloths in Costa Rica, narwhals in the nippy Barents sea, orangutans in the depths of Borneo, and an entire menagerie of creatures from around the world — sending invitations, wrapping presents, playing party games and of course, prepping the birthday cake for the ultimate annual wish. Starting on birthday eve and ending as the party hits full swing, this vibrant romp will delight little ones as their very special day comes around…and highlights the importance of family, friends and the heart-warming traditions of childhood.